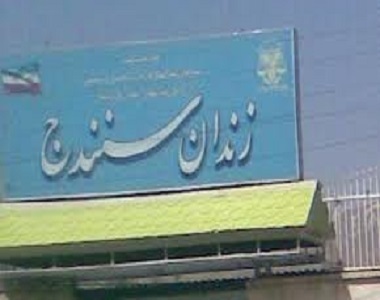 HRANA News Agency – Imposing more limitation by prison authorities of Sanandaj prison, and over population have made the conditions for the prisoners in this prison very hard. Due to over-population, shortage of required facilities, imposing arbitrary limitations by the authorities like cutting the gas, kidney and prostate problems due to bad water condition, lack of proper medical facilities, lack of classification of prisoners, insulting and beating the prisoners, low quality and shortage of prison food are common problem in this prison. According to the report of Human Rights Activists News Agency (HRANA), despite the judiciary’s propaganda, the central prison of Sanandaj has a very low standard for prisoners and does not provide prisoners’, their legal rights. Close sources to prisoners and families of prisoners reported to HRANA about “multiple problems and numerous limitations in this prison”. Central prison of Sanandaj has 10 wards, one of which is being used to keep former addicted prisoners. Each ward has some rooms which are separated by 1.5m long walls or by bed’s layout. In average, each room has 10 beds in around 12 square meters areas. 20 to 25 prisoners are being kept in each room. Usually half of them do not have beds and have to sleep on the rooms’ and corridor’s ground. – Intentional cutting of gas (natural gas) that forces prisoners to use cold water in bathroom (it has caused many prisoners kidney and prostate problems). – Closing the ward’s doors, despite lack of facilities inside the halls, and in some way transforming it to the quarantine ward. – Lack of dentist and optometrist and denial of medical treatment for the prisoners with “general illnesses”, like flu. – Insulting and beating the prisoners by wardens. – Depriving prisoners from using yard and work-out. – Punishment by long term solitary confinement, especially used for younger prisoners. – Not separating prisoners with drug-abuse charges and keeping normal prisoners in the methadone ward. – Not separating prisoners with contagious and infective diseases like Hepatitis and HIV. – Very low quality of food, especially in the second half of the year. – Not selling required food in the prison’s small shop. – Idol stat of consulting and legal departments, which causes violation of prisoners’ rights. A very common example is keeping prisoners for a long time under temporary arrest (one prisoner who was charged with murder and armed robbery is being kept in limbo in this prison for 7 years). This news agency had published a report about the general condition of Sanandaj prison in 2015, and in comparison to the current conditions, not only nothing has improved but the problems and limitations have increased. This is while government news agencies published some propagandistic reports about this prison. These reports indicate that local officials and reporters have visited only Quran, Employment, Consulting and Quarantine wards which have better conditions. According to one of these prisoners, before the visit of the officials, all of the prisoners of these wards had to do some works about cleaning and minor changes.